Spread Holiday Cheer by Rounding Up – Ace Hardware Corp.
You can make your holiday giving go further by rounding up your purchase at participating Ace Hardware locations this season. 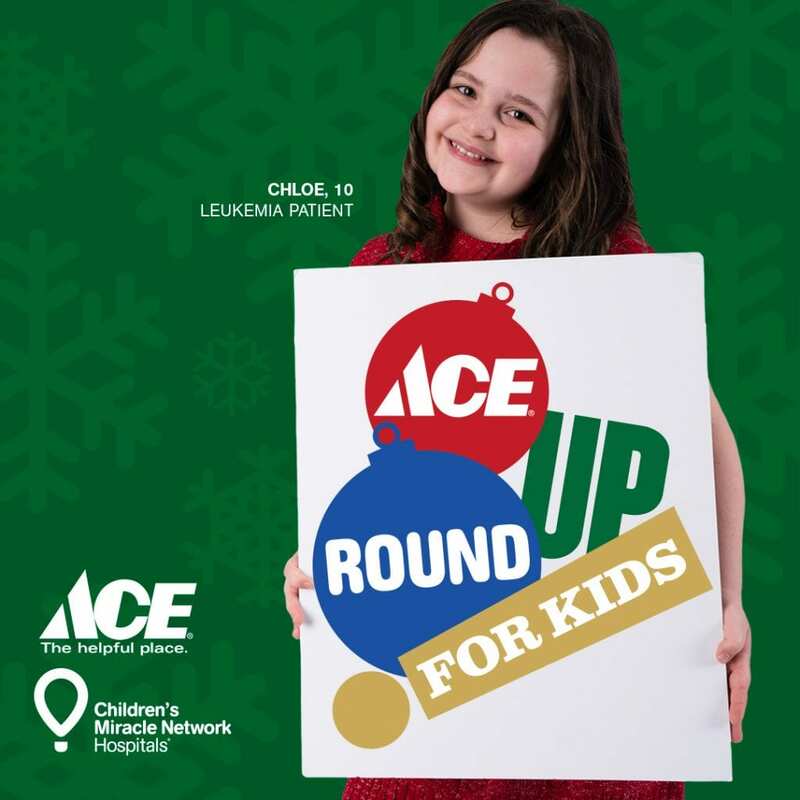 While doing your holiday shopping at Ace Hardware, you can round up your purchase to benefit your local Children’s Miracle Network Hospital. Your pennies, nickels, dimes and quarters add up to make a major impact. Last year’s Ace Hardware holiday Round Up raised more than $1 million to help the kids. Your Round Up donations helps the 10 million kids treated annually at CMN Hospitals get the care they need, kids like Nellie from Primary Children’s Hospital. Watch her video below.